Made by Industrial Strength using 6AL4V ELI F-136 implant grade Titanium. The ends are countersunk for a nice tight fit. Circular Barbells are made to fit specific ball sizes. Other ball sizes are not guaranteed to fit correctly. The ends size that come standard is guaranteed to fit. If you want only the post select No Ends (Post Only) from the End Size drop-down menu. 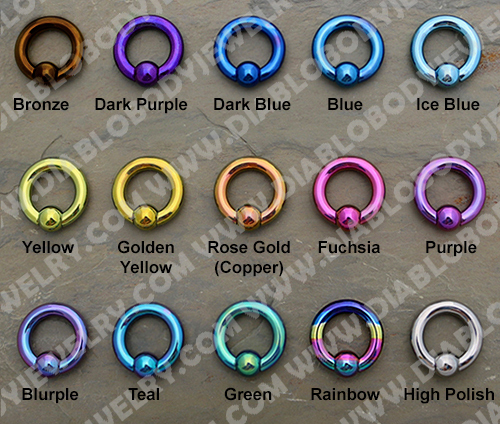 This Titanium barbell can be color anodized for a small fee. NOTE:Circular Barbells are made to fit specific ball sizes. 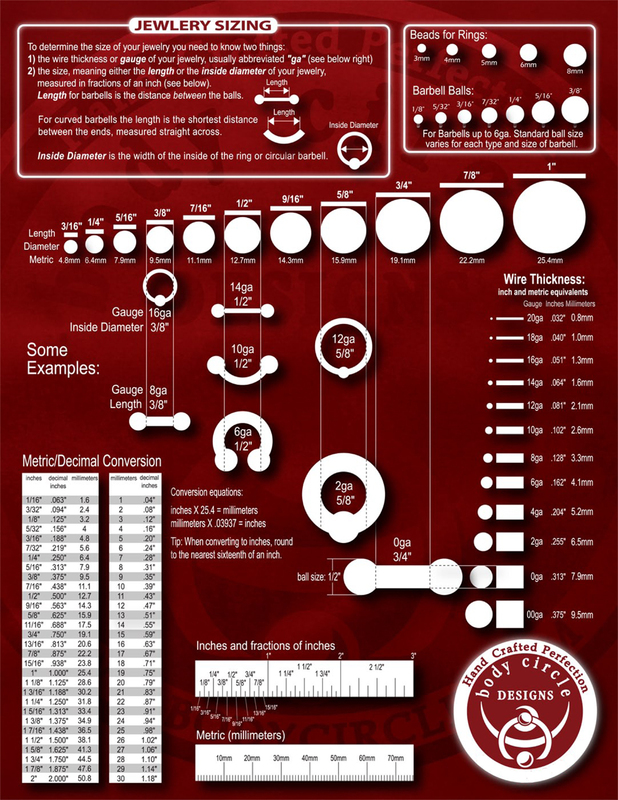 Other ball sizes are not guaranteed to fit correctly. Inner Diameters: 3/8", 7/16", 1/2" and 9/16" come with 7/32" ball ends; 5/8", 11/16" and 3/4" come with 1/4" ball ends; 7/8" and 1" come with 5/16" ball ends. Select 3/8" 7/16" 1/2" 9/16" 5/8" 11/16" 3/4" 7/8" 1"